Section 12. (1) Any person under investigation for the commission of an offense shall have the right to be informed of his right to remain silent and to have competent and independent counsel preferably of his own choice. If the person cannot afford the services of counsel, he must be provided with one. These rights cannot be waived except in writing and in the presence of counsel. (2) No torture, force, violence, threat, intimidation, or any other means which vitiate the free will shall be used against him. Secret detention places, solitary, incommunicado, or other similar forms of detention are prohibited. (3) Any confession or admission obtained in violation of this or Section 17 hereof shall be inadmissible in evidence against him. (4) The law shall provide for penal and civil sanctions for violations of this section as well as compensation to the rehabilitation of victims of torture or similar practices, and their families. Section 14. (1) No person shall be held to answer for a criminal offense without due process of law. (2) In all criminal prosecutions, the accused shall be presumed innocent until the contrary is proved, and shall enjoy the right to be heard by himself and counsel, to be informed of the nature and cause of the accusation against him, to have a speedy, impartial, and public trial, to meet the witnesses face to face, and to have compulsory process to secure the attendance of witnesses and the production of evidence in his behalf. However, after arraignment, trial may proceed notwithstanding the absence of the accused: Provided, that he has been duly notified and his failure to appear is unjustifiable. aspirations. (2) No involuntary servitude in any form shall exist except as a punishment for a crime whereof the party shall have been duly convicted. Section 19. (1) Excessive fines shall not be imposed, nor cruel, degrading or inhuman punishment inflicted. Neither shall death penalty be imposed, unless, for compelling reasons involving heinous crimes, the Congress hereafter provides for it. Any death penalty already imposed shall be reduced to reclusion perpetua. (2) The employment of physical, psychological, or degrading punishment against any prisoner or detainee or the use of substandard or inadequate penal facilities under subhuman conditions shall be dealt with by law. Section 16. (1). The Senate shall elect its President and the House of Representatives, its Speaker, by a majority vote of all its respective Members. Each House shall choose such other officers as it may deem necessary. (2) A majority of each House shall constitute a quorum to do business, but a smaller number may adjourn from day to day and may compel the attendance of absent Members in such manner, and under such penalties, as such House may provide. (3) Each House may determine the rules of its proceedings, punish its Members for disorderly behavior, and, with the concurrence of two-thirds of all its Members, suspend or expel a Member. A penalty of suspension, when imposed, shall not exceed sixty days. (4) Each House shall keep a Journal of its proceedings, and from time to time publish the same, excepting such parts as may, in its judgment, affect national security; and the yeas and nays on any question shall, at the request of one-fifth of the Members present, be entered in the Journal. Each House shall also keep a Record of its proceedings. (5) Neither House during the sessions of the Congress shall, without the consent of the other, adjourn for more than three days, nor to any other place than that in which the two Houses shall be sitting. Section 27. (1) Every bill passed by the Congress shall, before it becomes a law, be presented to the President. If he approves the same he shall sign it; otherwise, he shall veto it and return the same with his objections to the House where it originated, which shall enter the objections at large in its Journal and proceed to reconsider it. If, after such reconsideration, two-thirds of all the Members of such House shall agree to pass the bill, it shall be sent, together with the objections, to the other House by which it shall likewise be reconsidered, and if approved by two-thirds of all the Members of that House, it shall become a law. In all such cases, the votes of each House shall be determined by yeas or nays, and the names of the Members voting for or against shall be entered in its Journal. The President shall communicate his veto of any bill to the House where it originated within thirty days after the date of receipt thereof, otherwise, it shall become a law as if he had signed it. (2) The President shall have the power to veto any particular item or items in an appropriation, revenue, or tariff bill, but the veto shall not affect the item or items to which he does not object. Section 28. (1) The rule of taxation shall be uniform and equitable. The Congress shall evolve a progressive system of taxation. (2) The Congress may, by law, authorize the President to fix within specified limits, and subject to such limitations and restrictions as it may impose, tariff rates, import and export quotas, tonnage and wharfage dues, and other duties or imposts within the framework of the national development program of the Government. (3) Charitable institutions, churches and personages or convents appurtenant thereto, mosques, non-profit cemeteries, and all lands, buildings, and improvements, actually, directly, and exclusively used for religious, charitable, or educational purposes shall be exempt from taxation. (4) No law granting any tax exemption shall be passed without the concurrence of a majority of all the Members of the Congress. Section 29. (1) No money shall be paid out of the Treasury except in pursuance of an appropriation made by law. (2) No public money or property shall be appropriated, applied, paid, or employed, directly or indirectly, for the use, benefit, or support of any sect, church, denomination, sectarian institution, or system of religion, or of any priest, preacher, minister, other religious teacher, or dignitary as such, except when such priest, preacher, minister, or dignitary is assigned to the armed forces, or to any penal institution, or government orphanage or leprosarium. (3) All money collected on any tax levied for a special purpose shall be treated as a special fund and paid out for such purpose only. If the purpose for which a special fund was created has been fulfilled or abandoned, the balance, if any, shall be transferred to the general funds of the Government. Section 3. There shall be a Vice-President who shall have the same qualifications and term of office and be elected with, and in the same manner, as the President. He may be removed from office in the same manner as the President. The Vice-President may be appointed as a Member of the Cabinet. Such appointment requires no confirmation. Section 4. The President and the Vice-President shall be elected by direct vote of the people for a term of six years which shall begin at noon on the thirtieth day of June next following the day of the election and shall end at noon of the same date, six years thereafter. The President shall not be eligible for any re-election. No person who has succeeded as President and has served as such for more than four years shall be qualified for election to the same office at any time. No Vice-President shall serve for more than two successive terms. Voluntary renunciation of the office for any length of time shall not be considered as an interruption in the continuity of the service for the full term for which he was elected. Unless otherwise provided by law, the regular election for President and Vice-President shall be held on the second Monday of May. "I do solemnly swear [or affirm] that I will faithfully and conscientiously fulfill my duties as President [or Vice-President or Acting President] of the Philippines, preserve and defend its Constitution, execute its laws, do justice to every man, and consecrate myself to the service of the Nation. So help me God." [In case of affirmation, last sentence will be omitted].Section 6. The President shall have an official residence. The salaries of the President and Vice-President shall be determined by law and shall not be decreased during their tenure. No increase in said compensation shall take effect until after the expiration of the term of the incumbent during which such increase was approved. They shall not receive during their tenure any other emolument from the Government or any other source. Section 19. Except in cases of impeachment, or as otherwise provided in this Constitution, the President may grant reprieves, commutations, and pardons, and remit fines and forfeitures, after conviction by final judgment. He shall also have the power to grant amnesty with the concurrence of a majority of all the Members of the Congress. Section 2. The Congress shall have the power to define, prescribe, and apportion the jurisdiction of the various courts but may not deprive the Supreme Court of its jurisdiction over cases enumerated in Section 5 hereof. No law shall be passed reorganizing the Judiciary when it undermines the security of tenure of its Members. Section 7. (1) No person shall be appointed Member of the Supreme Court or any lower collegiate court unless he is a natural-born citizen of the Philippines. A Member of the Supreme Court must be at least forty years of age, and must have been for fifteen years or more, a judge of a lower court or engaged in the practice of law in the Philippines. (2) The Congress shall prescribe the qualifications of judges of lower courts, but no person may be appointed judge thereof unless he is a citizen of the Philippines and a member of the Philippine Bar. (3) A Member of the Judiciary must be a person of proven competence, integrity, probity, and independence. Section 8. (1) A Judicial and Bar Council is hereby created under the supervision of the Supreme Court composed of the Chief Justice as ex officio Chairman, the Secretary of Justice, and a representative of the Congress as ex officio Members, a representative of the Integrated Bar, a professor of law, a retired Member of the Supreme Court, and a representative of the private sector. (2) The regular members of the Council shall be appointed by the President for a term of four years with the consent of the Commission on Appointments. Of the Members first appointed, the representative of the Integrated Bar shall serve for four years, the professor of law for three years, the retired Justice for two years, and the representative of the private sector for one year. (3) The Clerk of the Supreme Court shall be the Secretary ex officio of the Council and shall keep a record of its proceedings. (4) The regular Members of the Council shall receive such emoluments as may be determined by the Supreme Court. The Supreme Court shall provide in its annual budget the appropriations for the Council. (5) The Council shall have the principal function of recommending appointees to the Judiciary. It may exercise such other functions and duties as the Supreme Court may assign to it. Section 9. The Members of the Supreme Court and judges of the lower courts shall be appointed by the President from a list of at least three nominees prepared by the Judicial and Bar Council for every vacancy. Such appointments need no confirmation. For the lower courts, the President shall issue the appointments within ninety days from the submission of the list. Section 15. (1) All cases or matters filed after the effectivity of this Constitution must be decided or resolved within twenty-four months from date of submission for the Supreme Court, and, unless reduced by the Supreme Court, twelve months for all lower collegiate courts, and three months for all other lower courts. (2) A case or matter shall be deemed submitted for decision or resolution upon the filing of the last pleading, brief, or memorandum required by the Rules of Court or by the court itself. (3) Upon the expiration of the corresponding period, a certification to this effect signed by the Chief Justice or the presiding judge shall forthwith be issued and a copy thereof attached to the record of the case or matter, and served upon the parties. The certification shall state why a decision or resolution has not been rendered or issued within said period. (4) Despite the expiration of the applicable mandatory period, the court, without prejudice to such responsibility as may have been incurred in consequence thereof, shall decide or resolve the case or matter submitted thereto for determination, without further delay. Section 2. (1) The civil service embraces all branches, subdivisions, instrumentalities, and agencies of the Government, including government-owned or controlled corporations with original charters. (2) Appointments in the civil service shall be made only according to merit and fitness to be determined, as far as practicable, and, except to positions which are policy-determining, primarily confidential, or highly technical, by competitive examination. (3) No officer or employee of the civil service shall be removed or suspended except for cause provided by law. (4) No officer or employee in the civil service shall engage, directly or indirectly, in any electioneering or partisan political campaign. (5) The right to self-organization shall not be denied to government employees. (6) Temporary employees of the Government shall be given such protection as may be provided by law. (1) Enforce and administer all laws and regulations relative to the conduct of an election, plebiscite, initiative, referendum, and recall. (2) Exercise exclusive original jurisdiction over all contests relating to the elections, returns, and qualifications of all elective regional, provincial, and city officials, and appellate jurisdiction over all contests involving elective municipal officials decided by trial courts of general jurisdiction, or involving elective barangay officials decided by trial courts of limited jurisdiction. Decisions, final orders, or rulings of the Commission on election contests involving elective municipal and barangay offices shall be final, executory, and not appealable. (3) Decide, except those involving the right to vote, all questions affecting elections, including determination of the number and location of polling places, appointment of election officials and inspectors, and registration of voters. (4) Deputize, with the concurrence of the President, law enforcement agencies and instrumentalities of the Government, including the Armed Forces of the Philippines, for the exclusive purpose of ensuring free, orderly, honest, peaceful, and credible elections. (5) Register, after sufficient publication, political parties, organizations, or coalitions which, in addition to other requirements, must present their platform or program of government; and accredit citizens' arms of the Commission on Elections. Religious denominations and sects shall not be registered. Those which seek to achieve their goals through violence or unlawful means, or refuse to uphold and adhere to this Constitution, or which are supported by any foreign government shall likewise be refused registration. organizations, coalitions, or candidates related to elections, constitute interference in national affairs, and, when accepted, shall be an additional ground for the cancellation of their registration with the Commission, in addition to other penalties that may be prescribed by law. (9) Submit to the President and the Congress, a comprehensive report on the conduct of each election, plebiscite, initiative, referendum, or recall.Section 3. The Commission on Elections may sit en banc or in two divisions, and shall promulgate its rules of procedure in order to expedite disposition of election cases, including pre- proclamation controversies. All such election cases shall be heard and decided in division, provided that motions for reconsideration of decisions shall be decided by the Commission en banc. (1) Administrative organization; (2) Creation of sources of revenues; (3) Ancestral domain and natural resources; (4) Personal, family, and property relations; (5) Regional urban and rural planning development; (6) Economic, social, and tourism development; (7) Educational policies; (8) Preservation and development of the cultural heritage; and (9) Such other matters as may be authorized by law for the promotion of the general welfare of the people of the region. Section 3. (1) The House of Representatives shall have the exclusive power to initiate all cases of impeachment. (2) A verified complaint for impeachment may be filed by any Member of the House of Representatives or by any citizen upon a resolution or endorsement by any Member thereof, which shall be included in the Order of Business within ten session days, and referred to the proper Committee within three session days thereafter. The Committee, after hearing, and by a majority vote of all its Members, shall submit its report to the House within sixty session days from such referral, together with the corresponding resolution. The resolution shall be calendared for consideration by the House within ten session days from receipt thereof. Section 8. The Ombudsman and his Deputies shall be natural-born citizens of the Philippines, and at the time of their appointment, at least forty years old, of recognized probity and independence, and members of the Philippine Bar, and must not have been candidates for any elective office in the immediately preceding election. The Ombudsman must have, for ten years or more, been a judge or engaged in the practice of law in the Philippines. During their tenure, they shall be subject to the same disqualifications and prohibitions as provided for in Section 2 of Article 1X-A of this Constitution. (8) Promulgate its rules of procedure and exercise such other powers or perform such functions or duties as may be provided by law.Section 14. The Office of the Ombudsman shall enjoy fiscal autonomy. Its approved annual appropriations shall be automatically and regularly released. Section 20. The Congress shall establish an independent central monetary authority, the members of whose governing board must be natural-born Filipino citizens, of known probity, integrity, and patriotism, the majority of whom shall come from the private sector. They shall also be subject to such other qualifications and disabilities as may be prescribed by law. The authority shall provide policy direction in the areas of money, banking, and credit. It shall have supervision over the operations of banks and exercise such regulatory powers as may be provided by law over the operations of finance companies and other institutions performing similar functions. Until the Congress otherwise provides, the Central Bank of the Philippines operating under existing laws, shall function as the central monetary authority. Section 10. Urban or rural poor dwellers shall not be evicted nor their dwelling demolished, except in accordance with law and in a just and humane manner. No resettlement of urban or rural dwellers shall be undertaken without adequate consultation with them and the communities where they are to be relocated. Section 17. (1) There is hereby created an independent office called the Commission on Human Rights. (2) The Commission shall be composed of a Chairman and four Members who must be natural-born citizens of the Philippines and a majority of whom shall be members of the Bar. The term of office and other qualifications and disabilities of the Members of the Commission shall be provided by law. (3) Until this Commission is constituted, the existing Presidential Committee on Human Rights shall continue to exercise its present functions and powers. (4) The approved annual appropriations of the Commission shall be automatically and regularly released. Section 4. (1) The State recognizes the complementary roles of public and private institutions in the educational system and shall exercise reasonable supervision and regulation of all educational institutions. 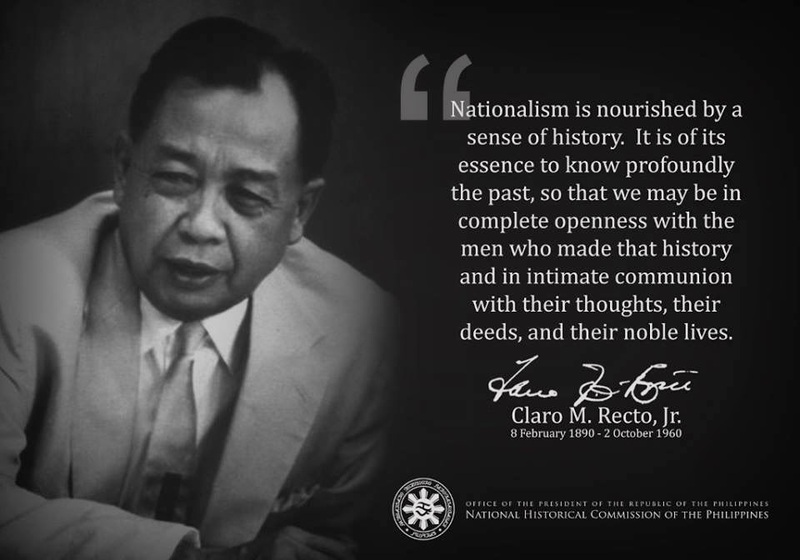 (2) Educational institutions, other than those established by religious groups and mission boards, shall be owned solely by citizens of the Philippines or corporations or associations at least sixty per centum of the capital of which is owned by such citizens. The Congress may, however, require increased Filipino equity participation in all educational institutions. The control and administration of educational institutions shall be vested in citizens of the Philippines. (3) All revenues and assets of non-stock, non-profit educational institutions used actually, directly, and exclusively for educational purposes shall be exempt from taxes and duties. Upon the dissolution or cessation of the corporate existence of such institutions, their assets shall be disposed of in the manner provided by law. Proprietary educational institutions, including those cooperatively owned, may likewise be entitled to such exemptions, subject to the limitations provided by law, including restrictions on dividends and provisions for reinvestment. Section 18. (1) The State shall ensure equal access to cultural opportunities through the educational system, public or private cultural entities, scholarships, grants and other incentives, and community cultural centers, and other public venues. (2) The State shall encourage and support researches and studies on the arts and culture. (4) The right of families or family associations to participate in the planning and implementation of policies and programs that affect them.Section 4. The family has the duty to care for its elderly members but the State may also do so through just programs of social security. Section 5. (1) All members of the armed forces shall take an oath or affirmation to uphold and defend this Constitution. (2) The State shall strengthen the patriotic spirit and nationalist consciousness of the military, and respect for people's rights in the performance of their duty. No member of the military shall engage, directly or indirectly, in any partisan political activity, except to vote. (4) No member of the armed forces in the active service shall, at any time, be appointed or designated in any capacity to a civilian position in the Government, including government-owned or controlled corporations or any of their subsidiaries. (5) Laws on retirement of military officers shall not allow extension of their service. (6) The officers and men of the regular force of the armed forces shall be recruited proportionately from all provinces and cities as far as practicable. (7) The tour of duty of the Chief of Staff of the armed forces shall not exceed three years. However, in times of war or other national emergency declared by the Congress, the President may extend such tour of duty. Section 11. (1) The ownership and management of mass media shall be limited to citizens of the Philippines, or to corporations, cooperatives or associations, wholly-owned and managed by such citizens. The Congress shall regulate or prohibit monopolies in commercial mass media when the public interest so requires. No combinations in restraint of trade or unfair competition therein shall be allowed. (2) The advertising industry is impressed with public interest, and shall be regulated by law for the protection of consumers and the promotion of the general welfare. Only Filipino citizens or corporations or associations at least seventy per centum of the capital of which is owned by such citizens shall be allowed to engage in the advertising industry. The participation of foreign investors in the governing body of entities in such industry shall be limited to their proportionate share in the capital thereof, and all the executive and managing officers of such entities must be citizens of the Philippines. Section 1. The first elections of Members of the Congress under this Constitution shall be held on the second Monday of May, 1987. The first local elections shall be held on a date to be determined by the President, which may be simultaneous with the election of the Members of the Congress. It shall include the election of all Members of the city or municipal councils in the Metropolitan Manila area. Section 2. The Senators, Members of the House of Representatives, and the local officials first elected under this Constitution shall serve until noon of June 30, 1992. Of he Senators elected in the elections in 1992, the first twelve obtaining the highest number of votes shall serve for six years and the remaining twelve for three years. A sequestration or freeze order shall be issued only upon showing of a prima facie case. The order and the list of the sequestered or frozen properties shall forthwith be registered with the proper court. For orders issued before the ratification of this Constitution, the corresponding judicial action or proceeding shall be filed within six months from its ratification. For those issued after such ratification, the judicial action or proceeding shall be commenced within six months from the issuance thereof. The sequestration or freeze order is deemed automatically lifted if no judicial action or proceeding is commenced as herein provided. Metropolitan Manila AreaMANILA, six (6) - First District: Barangays Nos. 1-146, N-City Boundary between Manila and Caloocan; E - From Estero de Sunog Apog going South to Estero de Vitas up to the bridge spanning Juan Luna Street, eastward to Tayuman Street up to the Railroad Tracks along Dagupan Street, thence southward to Claro M. Recto Avenue; SE - From point Claro M. Recto Avenue extending westward to Manila Bay; W - Manila Bay northward to City boundary between Manila and Caloocan. Second District: Barangays Nos. 147-267, N - City boundary between Manila and Caloocan; E - From end of Rizal Avenue Extension extending southward to Railroad Tracks at Antipolo Street; from corner Antipolo Street and Rizal Avenue on southern side of Railroad Tracks extending westward to Estero de San Lazaro, southward along Estero de San Lazaro up to corner of C. M. Recto Avenue westward to bridge spanning Claro M. Recto at Estero de la Reina; W - Estero de la Reina to Estero de Vitas to Estero Sunog Apog to City boundary between Manila and Caloocan; Third District: Barangays Nos. 268-394, N - City boundary between Manila and Caloocan; E - A. Bonifacio Street extending southward to Dimasalang, to Anda-lucia, Claro M. Recto Avenue eastward to Estero de San Miguel ending at Pasig River; S - Mouth of Estero de San Miguel at Pasig River, westward to Del Pan Bridge, thence to Del Pan Street; W - Del Pan Street northward up to Claro M. Recto Extension to Estero de San Lazaro, northward to Antipolo Street, eastward to Rizal Avenue Extension, northward to boundary between Manila and Caloocan; Fourth District: Barangays Nos. 395 - 586 SW - Estero de San Miguel up to Mendiola Bridge, thence to C. M. Recto Avenue to Quezon Boulevard; W - Quezon Boulevard, Andalucia, Dimasalang up to boundary between Manila and Quezon City; NE - City boundary between Manila and Quezon City up to Ramon Magsaysay Boulevard; SE - Ramon Magsaysay Boulevard up to V. Mapa Street; S - Ramon Magsaysay Boulevard up to point Estero de San Miguel where Ramon Magsaysay Boulevard spans Estero de San Miguel; Fifth District: Barangays Nos. 649-828 N - Mouth of Pasig River inland to point Paz M. Guanzon Street extending to Estero de Pandacan; NE - Estero de Pandacan up to Pedro Gil Street to Tejeron Street up to boundary of Manila and Makati; SE - City boundary between Manila and Makati up to Estero de Tripa de Gallina; S - City boundary between Pasay and Manila down to Roxas Boulevard up to edge of reclaimed areas westward to Manila Bay; W - Manila Bay up to mouth of Pasig River, Sixth District: Barangays Nos. 587-648; and 829-905 N - Starting from point which is mouth of Estero de San Miguel going eastward to Mendiola Bridge, following line along Estero de San Miguel up to point where Ramon Magsaysay Boulevard eastward to City boundary between Manila and Quezon Cityl; NE - City boundary up to point city boundary of Manila, San Juan and Quezon City; E - Manila-San Juan-Mandaluyong-Makati boundaries up to Tejeron Street; SE - Tejeron Street to Pedro Gil Street up to bridge spanning Estero de Pandacan; SW & W - Estero de Pandacan going northward to Paz M. Guanzon Street, then northward on Paz M. Guazon Street up to Pasig River to mouth of Estero de San Miguel on Pasig River.